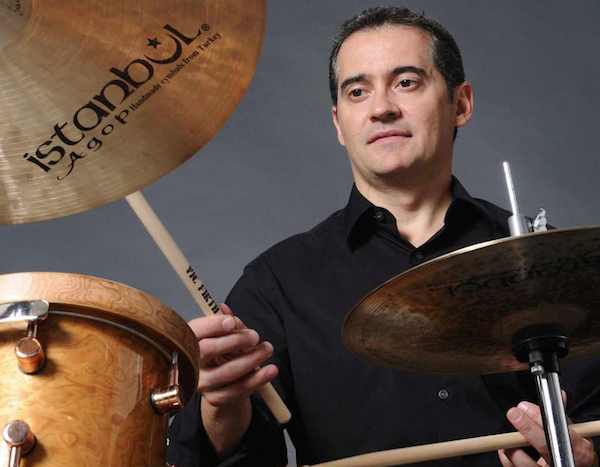 Adriano Santos Adriano Santos is at the epicenter of New York’s contemporary Brazilian drummers. His playing style is typified by natural clarity, swing, and deep-seated groove in the tradition of Airto Moreira, Edson Machado, and Milton Banana. The 2010 Latin Jazz Corner award nominee Adriano Santos will perform compositions from his latest CD In Session. This promises to be a high-octane night, with infectious percussive grooves and melodies that will transport listeners to the tropical landscapes of Brazil. ADRIANO SANTOS BRAZILIAN JAZZ TRIO at Terraza 7 on Friday November 6th, 2015, at 9:30 pm. No Replies to "ADRIANO SANTOS BRAZILIAN JAZZ TRIO"